It’s really been too long since I want to talk about Mondovì. Mondovì is a small city located in Piedmont and is one of those towns that I like. One of the towns that you do not find on the pages of glossy magazines Travel and yet a beautiful discovery. 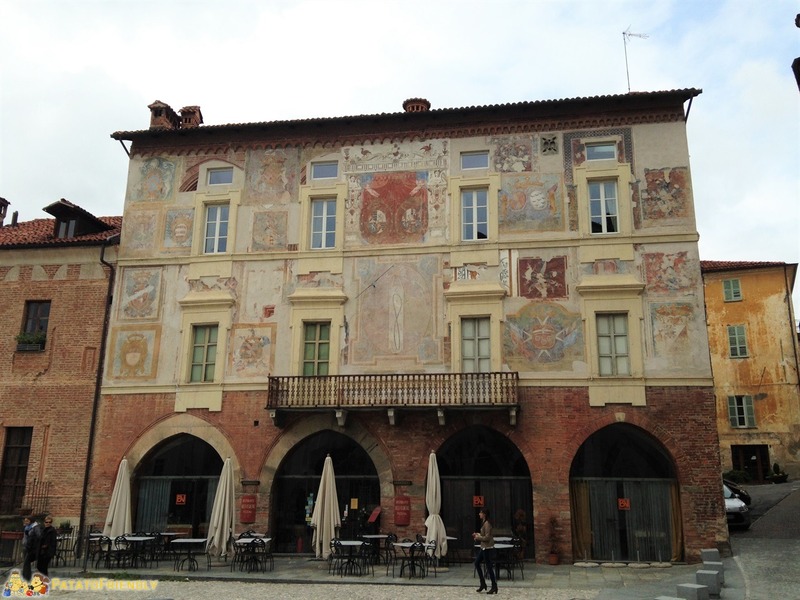 Before we tell you why to go to Mondovì though I speak a bit ‘of its history: Mondovì is located in Cuneo Province known as “La Granda” province (the big one province) for its extension. Its origin sinks into the Middle Ages and has the flavor of the revolt: the name of Mondovì comes from “Mount Vico” and its foundation is linked to the rebellion of the inhabitants of Vico. At that time they were tired of submitting to the Bishop of Asti, the feudal lord of the area, so they founded their town, Mondovì precisely. In short, all this to tell you not to be fooled by a little ‘sleepy Mondovì, actually this city hides a lot of surprises and a proud soul! The first time that I visited Mondovì I thought to be in the “City of Time“. First, because the “Piazza Vecchia” (Old Square) and “Sale del Vescovado” (the Bishopric Rooms) are a blast from the past, one of those that you like to stay in an old sepia photograph, just from the album release of a grandmother. But it is not only the atmosphere a little bit vingage of Mondovì to hit me. Many sundials dotting the streets and decorate the palaces and this fact gave me the impression that the time is closely linked to this city. Sundials are really everywhere: starting from the lower town up to the “Palazzo di Giustizia” (Palace of Justice) and the Belvedere, you turn around and there they are a moment to remind you of the passing of time. Saturday is the market day in Mondovì and so before you get to the upper town with the funicular stop to buy some Piedmontese delicacies. Once at the top go to the “Chiesa di San Francesco Saverio” (Church of St. Francis Xavier) and enter. This church is indeed richly decorated in a way that you can’t image from outside: Fake gilding, statues and columns painted in marble and above all the incredible fake dome representing the glorification of St. Francis Xavier that seems to rise up despite the ceiling is actually flat. 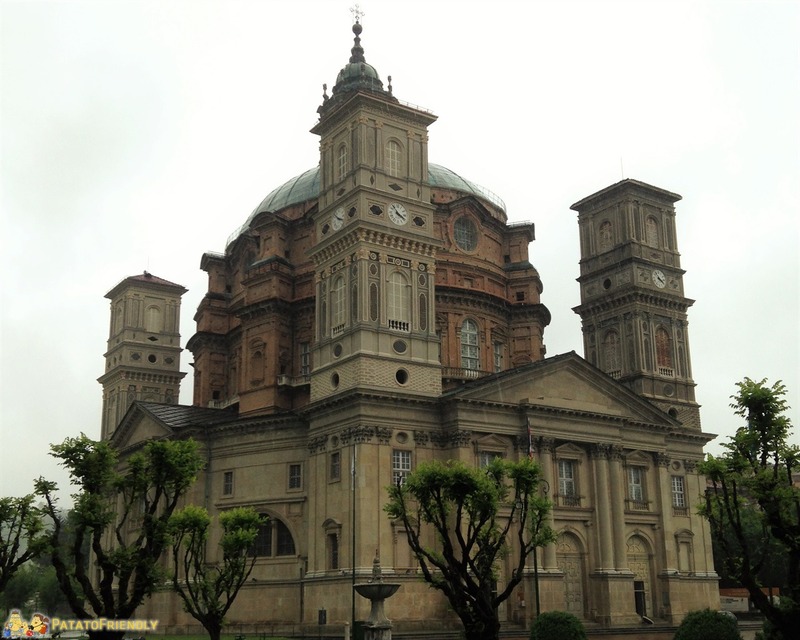 This church is the triumph of illusion and an artist’s skill, an absolute must to see in Mondovì! Then continue your tour of Mondovì:, stop at the “Palazzo di Giustizia” (the Palace of Justice) and at the “Congregazione di San Filippo Neri” (Congregation of St. Philip Blacks), than continue up to the “Giardini Belvedere” (Belvedere Gardens) before returning to “Piazza Maggiore“. In the afternoon you can leave Mondovì and go to the “Santuario di Vicoforte” (Sanctuary of Vicoforte). There you’ll have another surprise. Built in the middle of nowhere, in a village of ancient houses, this colossal Sanctuary has the largest elliptical dome in the world. Believe me, the size of the Vicoforte Sanctuary is really impressive. The interior, with the incredible elliptical dome, is simply spectacular. If you are planning a visit in Mondovì in ​​a day do not miss the Belvedere Gardens, the “Piazza Maggiore“, the Church of St. Peter and Paul and the “Oratorio di San Filippo Neri“. Mondovì is also the capital of the flight in a balloon, and every year in early January there is a beautiful hot air balloon festival. If you decide to organize a weekend in Mondovì you’ll have time to explore the surroundings. Among the things not to be missed, I suggest you a trip to Turin, always beautiful and full of things to do with children. But if you love discover small and less famous cities my tip is to see also Cuneo, Saluzzo and Savigliano. You do not be disappointed! 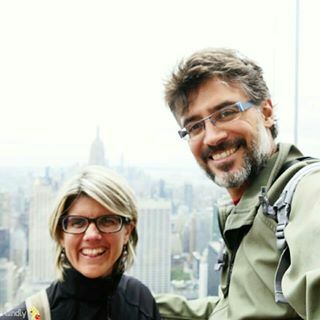 🙂 All these cities are about one hour by car from Mondovì and following the links you want to find, as usual, our experience and some advice to visit them with the children. Mondovì is a very nice town located on top of a hill with several medieval buildings, not far from Cuneo and Turin. Mondovì is located in Piedmont region, in the northwest of Italy. Piedmont region is surrounded on three sides by the Alps and it borders with France and Switzerland. You can get Mondovì by car or by train. 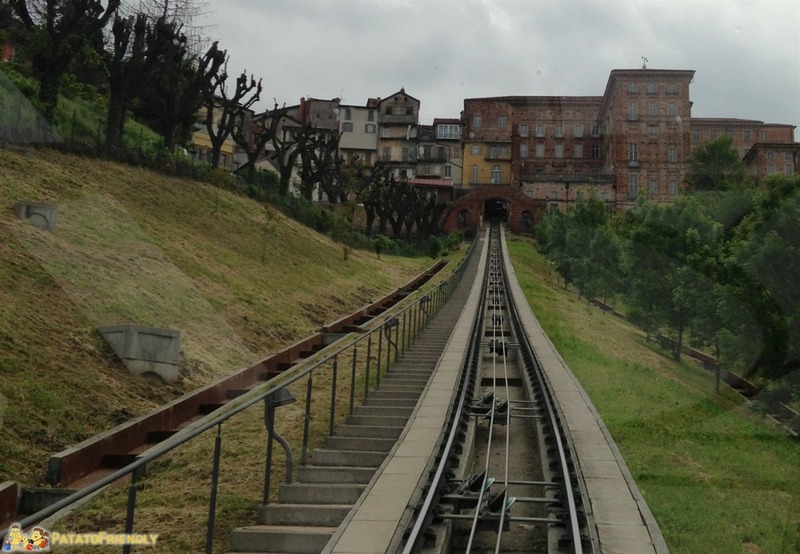 If you arrive by car you can park it close to the market square and then go up to upper town with the funicular. From Mondovì you can get the the Sanctuary of Vicoforte aby car or by bus, if you’re travelling by car you can park just across the church. The Mondovì Train Station is located in the district named “dell’Altipiano”. 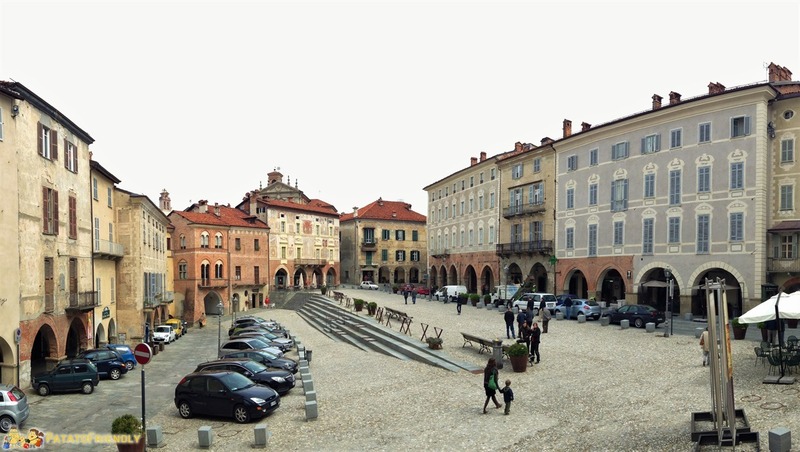 Mondovì is well connected by trains to Turin and Cuneo. The closest airport to Mondovì is “Cuneo Levaldigi” Airport, alternatively there are the airports of “Turin Caselle” and “Genoa Sestri”.